All DESERT HILLS homes currently listed for sale in St. George as of 04/19/2019 are shown below. You can change the search criteria at any time by pressing the 'Change Search' button below.
" Brand new complete remodel with new flooring, carpet and paint! Great home with lots of space, corner lot & fantastic landscaping. This home offers RV Parking, multiple living spaces for entertaining guests with a great room that provides for quaint conversations or perfect for watching movies. Jetted tub, separate vanity sinks & large storage room! 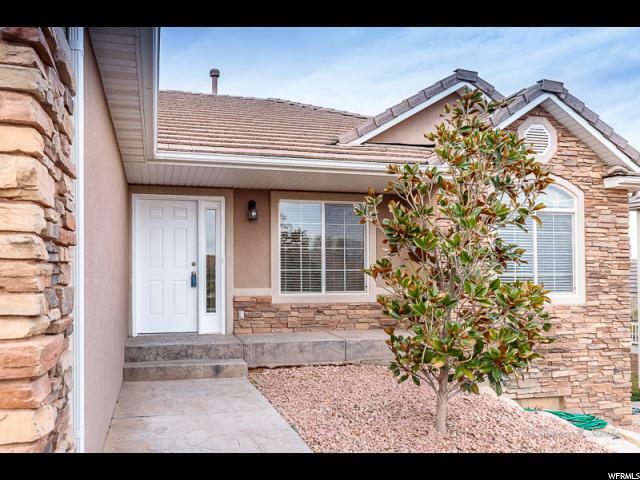 Less than a 5 minute walk from the Desert Hills Schools and amazing park with splash pad, tennis court, and basketball court. Extensive hiking/biking trails near home, 10 mins. to 4 different golf courses and 5 mins. from downtown. Buyer to verify all information, deemed reliable, however buyer to verify all info."